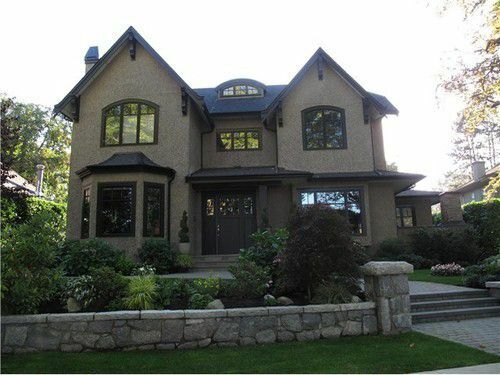 Custom built spectacular home in Prime Shaughnessy. Top quality craftsmanship throughout. The main floor features 10' ceilings, 8" wide plank oak floors, coffered ceilings, & office with custom millwork that opens onto a patio & overlooks a beautiful yard. Enjoy the outdoor F/P through 8' double French doors from the huge D/R. The kitchen features MIELE coffee maker & steam oven, SUB ZERO fridge, WOLF oven, instant hot water, double oven & a separate spice kitchen. The huge covered patio features a 6ft DACOR BBQ with oven, outdoor firepit, natural gas heater, waterfall & an eating area. Stunning basement with 10ft ceil has I/D pool with swim jets, 6 person jacuzzi, wetbar, pool table, foosball, wine cellar, media room & games rm.